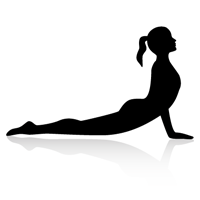 Home›Yoga Tips›Is opening chakras real and what are their benefits? In our body there are major and minor energy centers, what we call the chakras. But what is really behind this word that we hear so often used wrongly? I propose you through this article to discover the meaning and characteristics of the seven main chakras, but also to discover how to open them so as to let the vital energy that is in each of us circulate. 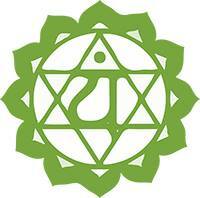 The word chakra comes from Sanskrit and means “wheel” or “disk”. If we can not see or touch them, we can visualize the chakras in the form of circles. According to Indian tradition, energy flows from one chakra to another through invisible channels. The vital breath whirls these wheels clockwise, from the perineum to the top of the head. Each of the chakras is connected to particular physical and psychic functionalities. Each chakra has its own peculiarities. They are connected to unique aspects of our being. They are assimilated to the degree of consciousness, physical functions, colors, elements, sounds, mantras , and much more. Thus, blockages or energetic dysfunctions of the chakras give rise to physiological, psychological and emotional problems. But many of us feel the effects of these dysfunctions without always knowing how to fix them. 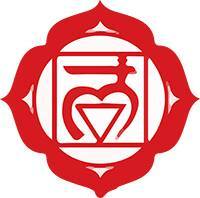 The root chakra is the seat of physical identity, survival, stability, instinctive nature and ambition. Balanced, it provides a feeling of anchoring, commitment and independence, energy and vitality but also strength and calm. It promotes good digestion. Related physical dysfunctions: tiredness, poor sleep, low back pain, sciatica, poor digestion and elimination of impurities, constipation, depression, obesity. 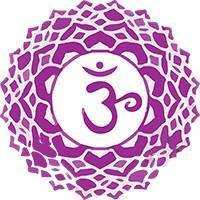 The sacred chakra is the seat of emotional identity, creativity, desire, pleasure, procreation. When balanced, it is the source of compassion, intuition, friendly behavior, sense of satisfaction, prosperity and humor. The solar plexus chakra is the seat of the mental understanding of emotions, self-esteem, sense of belonging, endurance, willpower, balance and spontaneity. When balanced, it is a source of energy and trust. It helps decision-making and productivity. It promotes good digestion and good concentration. Related physical dysfunctions: disorders of digestion, diabetes, obesity. Seat of social identity, trust in others, forgiveness and unconditional love, the heart chakra is also the foundation of wisdom, patience and compassion. It is the center of love and harmony. When it is balanced, it is the source of the feeling of completeness, empathy, friendliness, optimism, motivation and sociability. Seat of communication, creativity, self-knowledge, intuition and expressiveness. The throat chakra when balanced promotes creativity and expressiveness, provides communication fluency and listening skills. Governs throat, large thyroid and parathyroid, trachea, cervical, vocal cords, neck, shoulders, mouth, teeth, gums. Related Physical Dysfunctions: Throat, teeth, hearing, grinding of teeth, scoliosis, frequent laryngitis, neck tightness. The third eye chakra is the seat of intellect, clairvoyance, wisdom, detachment, understanding, rationality, visualization and insight. Balanced, it promotes imagination, intuition and concentration. Related psychological and emotional dysfunctions: lack of memory and concentration. READ Can I do gym workout after yoga? When they are “open”, we consider that the chakras function in a normal way. It is generally considered that it is better to open the chakras from the bottom up. So you will have to work on the opening of the root chakra at first, the sacred chakra in a second time, and so on. We open the root chakra by becoming aware of our body. Any activity that makes you aware of your body strengthens this chakra. You can do sports, dance, martial arts, walking, yoga, tai chi, etc. Enjoying a massage is also a way to become aware of your body in the here and now, just like Zen meditation. To harmonize the sacred chakra, we can listen to music that evokes pleasure, sensuality, softness, femininity, moonlight. Listening to serious sounds such as piano, organ, baritone sax, water sounds … is very beneficial. In addition, the practice of ventral breathing has the effect of supplying external energy to this chakra and is therefore strongly recommended to open this chakra. To rebalance this chakra, you can use a method based on the use of citrine. Transform with candles and incense the room you have chosen in a sacred space in which you feel good. Lay a blanket on the floor and place citrines all around (6 at least). 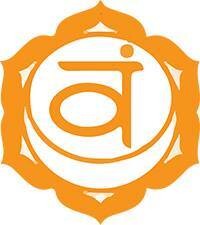 Lie in the center of this circle and affirm your desire to open your navel chakra. Ask, loudly or silently, that the benefits of citrine work on you. You can stay in this position about 30 minutes before returning to the world. Breathing deeply in the sun also helps to harmonize this chakra. In order to open the heart chakra, it is important to reconnect with Love in the universal sense of the word. To this end, do not be afraid to give your love to others and to yourself. You can pat the sternum a number of times each day and drink thyme tea once a day. Visualize your breathing in a blue-violet color. Finally, if you like to practice yoga, the position of the cobra helps you to open this chakra. The chakra of the throat is connected to the progress of our faculties of communication throughout our life. In order to be open and healthy, do not hesitate to say what you need to express. 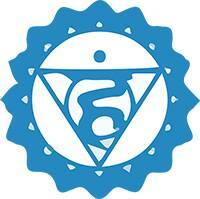 To open this chakra, the most valuable advice is to speak, whether to a friend, a therapist, a counselor. Listening is also an important virtue to develop in order to improve your communication with others and with yourself. Through this chakra we exteriorise our inner universe. The practice of singing or theater helps to activate this chakra. In order to activate the forehead chakra, it is important to believe in your intuition and let your imagination speak. A yogic technique of meditation is used to radiate the light that is at the level of your third eye. Place a lighted candle in front of you while sitting comfortably with your back straight. To enter into a meditative state, begin by becoming aware of what is around you and going on within yourself. Pay attention to the center of your head, that is, the region where the pineal gland is located. Open your eyes slowly and focus on the candle flame. When you have to close your eyes, turn them towards your third eye: you will see the image of the flame and probably many colors. Visualize the flame very carefully and, as the image disappears, try to hold it as much as possible by breathing deeply. Finally, slowly return to the reality of everyday life. 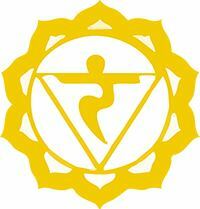 This energy center brings together and merges the energy of all other chakras. Meeting point of heavenly forces and your own strength, it supports your accomplishment. It is essential, to preserve your psychic balance, to open this chakra by leaning on your root chakra. Any philosophical or spiritual research requires a solid anchoring beforehand and to connect you to the concrete aspect of life. Take a seat in a quiet place, the back straight, barefoot. With your eyes closed, visualize that you activate all your chakras and take root to the center of the Earth. Breathe deeply by raising your arms and asking to receive the divine light of Creation. As you exhale and replace your arms along your body, imagine the light filling your spine with energy, from the root chakra to the crown chakra. Then imagine that this ray of light is transformed into thousands of filaments of light moving around you, entering and exiting through all the pores of your skin. Understand that these filaments are part of the universal network of Light and Life. From your heart chakra, visualize that you are diffusing the Divine Light through the golden filaments. Watch them go to all the places around you that need to be cleansed of their negative energies. Wherever the divine light passes, negativity is transformed into positivity. Finally, visualize the shining planet of light: it is in its place in the cosmos as glittering blue-green jewelery, everything is in its place. Feel the joy of having illuminated your being and the world, gradually let the filaments of light disappear and return to reality slowly.